The Dolmen De Menga is a megalithic burial mound, called a tumulus, dating from the 3rd millennium BCE. It is located near Antequera, Málaga, Spain. It is considered to be the largest such structure in Europe. It is twenty-five metres long, five metres wide and four metres high, and was built with thirty-two megaliths, the largest weighing about 180 tonnes. After completion of the chamber (which probably served as a grave for the ruling families) and the path leading into the center, the stone structure was covered with earth and built up into the hill that can be seen today. When the grave was opened and examined in the 19th century, archaeologists found the skeletons of several hundred people inside. 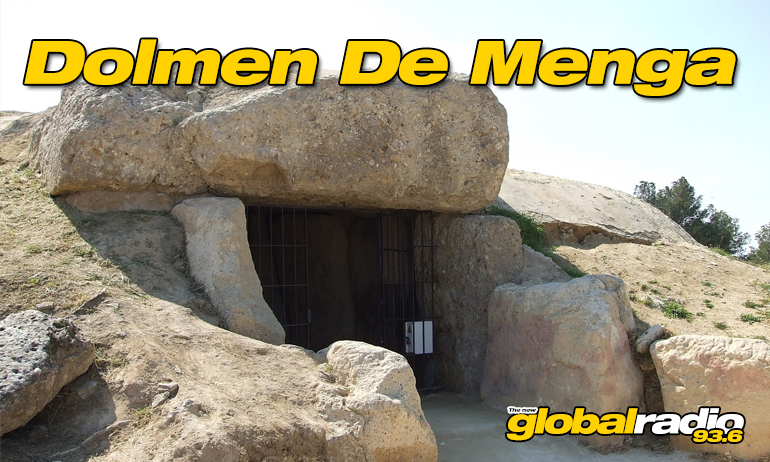 The dolmen sits only 70 metres (230 ft) from the Dolmen de Viera and about 4 kilometres (2.5 mi) from another subterranean structure known as Tholos de El Romeral.